What does “API-first approach” mean? With the API-first approach, designing the API is the first priority before writing any code. Design of the API involves thorough thinking and planning through collaboration with different stakeholders. This result in high-level documentation describing the intent of the API. This API contract acts as a central draft keeping all your team members aligned on what your API’s objectives are and how your API’s resources are exposed. The finalization of the contract allows the team to build the interface of the application. After this, the cross-functional teams rely on this interface to build the rest of the application independent of each other. For example, the back-end developer starts building out the implementation logic behind the API, the front-end developer starts working on different front-end applications, and quality testers start writing tests for the exposed interface. The first step is to choose an API specification. API specification is a term that is often used interchangeably with API definition. While these terms have many similarities, they are different entities. An API specification provides a broad understanding of how an API behaves and how the API links with other APIs. It explains how the API functions and the results to expect when using the API. We need to choose the one that makes our work easier and supports the languages that we are going to use. For this article, I am going to show how to use the API-first approach using the OpenAPI Specification 3.0.0 and using oas-tools for our Node.js application. Before we start coding, we need to create the API that is going to be used by our developers. description: This is our Hello World API. openapi: 3.0.0 defines the version of the OpenAPI Specification that we are going to use. info provides extra information about the API, such as a description, title, and the current version. servers provides a list of servers and the base path for the API. paths specifies application endpoints. As you can see, we have one path located at /hello and then we define two REST operations: get and post. post: is the operation type. x-swagger-router-controller: helloWorldRoute: We will cover it later; annotations for oas-tools. operationId: helloWorldPost: We will cover it later; annotations for oas-tools. - /hello: Used for logical grouping. description : Description of the endpoint. parameters: Parameters required or allowed for the endpoint. - name: greeting: Name of the parameter. description: Name of greeting: Description of the parameter. required: true: Specifies whether the parameter is required or optional. type:string: Specifies a string parameter. responses: What we are expecting as a result of the call. '200': Specifies the 200 status response; we can add the ones that we need, for example, 401 if the user is not authorized, etc. description: Successful request. : Description of the response. content:: Content of the 200 status code response. application/json:: Content type returned by 200 status response. schema:: Type of object returned. $ref: '#/components/schemas/Hello': Hello object returned, which is composed of the msg property. description:: Description of the default response. content:: Content of the default response. application/json: : Content type returned by the default response. schema:: Type of object returned by the default response. $ref: '#/components/schemas/Error': Error object returned by the default response. Looking at the specification, we should be able to call it by using the following URL: GET <serverUrl>/api/hello?greeting=redhat. Now that we have the API definition completed, what can we use to increase our development speed? For the Node.js back-end app, we are going to use oas-tools. oas-tools is a Node.js module for managing RESTful APIs defined with OpenAPI specs over Express servers. Automatically it’s going to check if an incoming request matches our definition, and it will reject it if it doesn’t satisfy our requirements. The result? Less coding time, all the validations are managed by oas-tools, and we need to care only about the business logic. I have created a project that has all the required steps and integrations done. Looking into it, we are going to cover the different pieces needed to make it work. You can find the project can at github.com/rhappdev/nodejs-template. We are going to cover OpenAPI 3.0, but the two are nearly the same. 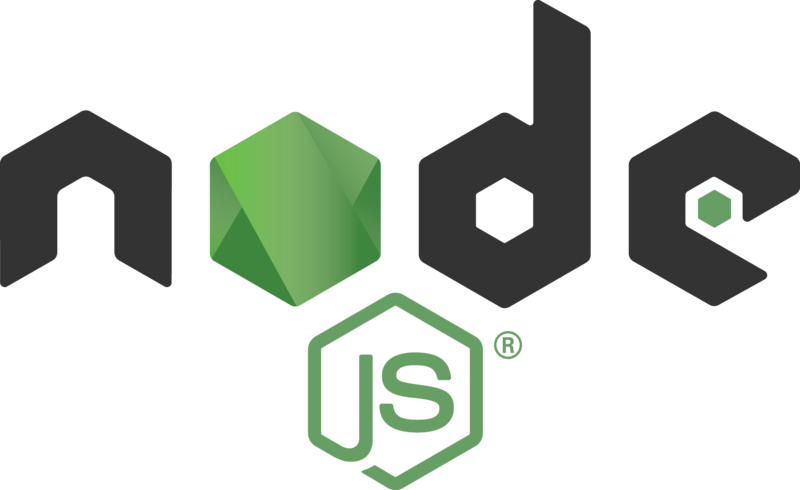 The example is a Node.js + Express + oas-tools using TypeScript as the base programming language. Transpile to TypeScript: npm run build:live. Run TypeScript application: npm run dev. Run transpiled application: npm start. Run tests: npm run test. swaggerDoc: Contains the location of the OpenAPI Specification file. controllers: Location of the route controllers. loglevel: By defining a log level, you can categorize the logs and the amount of information that is going to appear. strict: Indicates whether validation must stop the request process if errors were found when validating according to the specification file. validator: Indicates whether validator middleware should be used. docs: Shows the swagger-ui interface, which is located at /docsendpoint, to visualize and interact with the API’s resources without having any of the implementation logic in place. It’s automatically generated from your OpenAPI Specification. swaggerTools.configure: Sets up the custom configuration. helloWorldGet and helloWorldPost need to be added as operationId’s. oas-tools provides the parameters inside the req.swagger property. The previous code gets the parameters and returns the Hello object with the msg property, as we defined in the spec. Once the service is up and running, we can create two curl requests to check if oas-tools does the required job. curl -X GET "http://localhost:8001/api/hello?greeting=redhat" -H "accept: application/json"
curl -X GET "http://localhost:8001/api/hello" -H "accept: application/json"
As you can see, with this easy example. You only need to focus on the business logic. The oas-tools middleware checks the incoming request against the API specification. The tool that does this for us is at github.com/swagger-api/swagger-codegen.git. Note: Use tag 3.0.0 for OpenAPI version 3 and tag master for version 2.x. By running this command, we are able to generate the required classes for any programming language that is supported by the swagger-codegen-cli tool. The above command generates the classes for Angular projects. In this article, we have seen how we can set up a Node.js microservice by generating first the API Specification file and focusing only on developing the business logic. All the validation of the API will be managed by oas-tools, and as a result, we will save development time.